Is there any better time of the year than festival season? The answer is no and it's been proven even more so with Bunbury Music Festival releasing it's official lineup. 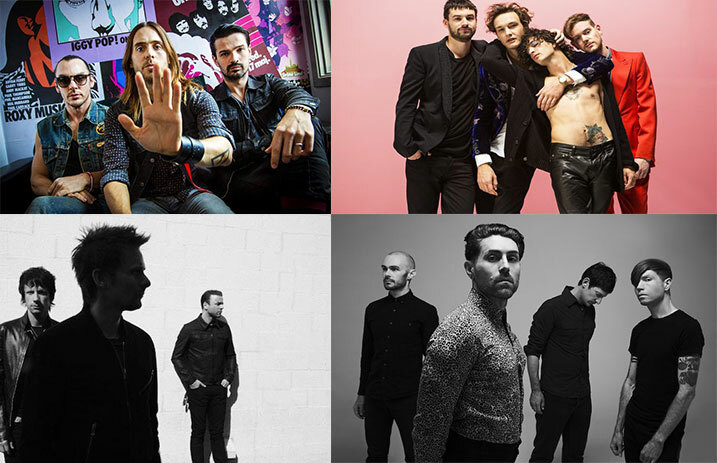 The festival, located in Cincinnati, OH, will feature acts such as Muse, The 1975, Thirty Seconds to Mars and Death Cab for Cutie along with many many more. You can check out the full lineup and where to buy tickets below! Bunbury Music Festival is June 2 through June 4 in Cincinnati, OH. Tickets are on sale now and can be purchased here. Headlining the festival include Muse, Wiz Khalifa, G-Eazy, Bassnectar and Pretty Lights. The festival has also released a Spotify playlist featuring all of the bands and artists that will be hitting the stage in Cincinnati. The playlist provides you with ten hours of music to prepare you for the festival. Check it out below. AFI will also be performing at the festival. AFI just released their tenth album AFI (The Blood Album) on Jan. 20. Check out what Alt Press thought of the album here! Check out the entire lineup of the Bunbury Music Festival below. Who do you plan on seeing? Let us know in the comments!